Built in needle threader – The built in needle threader assists you in easily threading the needle for a fast start to your project. Reverse stitch and reinforcing stitch - The Juki HZL-70HW can sew a locking stitch at the beginning and end of your stitch. The Juki HZL-70HW has two types of lock stitches, reverse and reinforcing stitches. 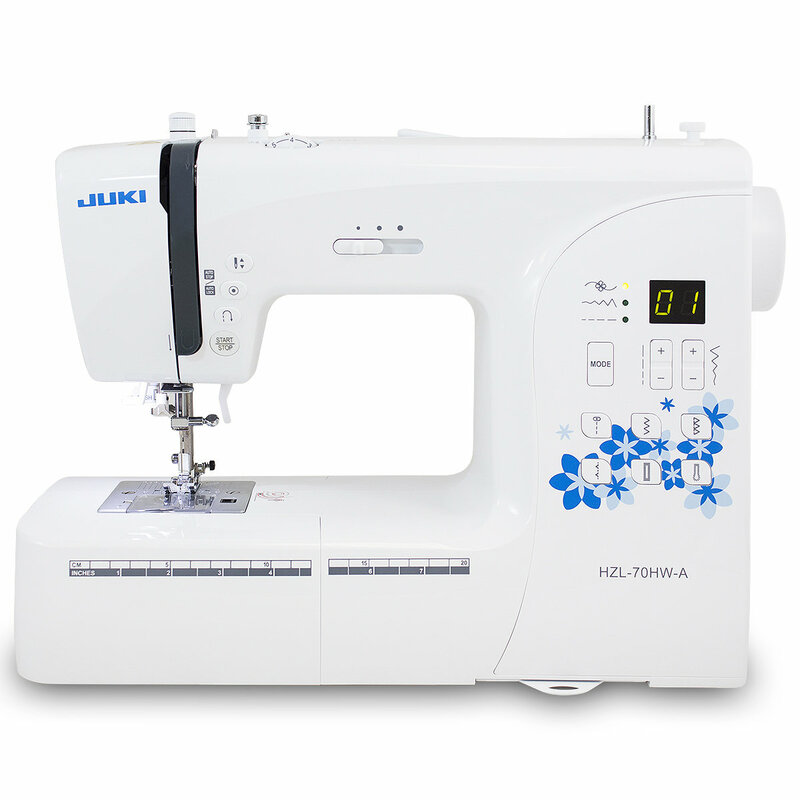 One-step buttonhole – The Juki HZL-70HW will sew the buttonhole automatically according to the size of your button. Variable width and length adjustment - The Juki HZL-70HW allows you to change the width and length of your stitch, as well as changing needle positions. Quick reference guide – Just pull out the handy reference guide to view all of the stitch patterns!